The first one, CosmoGirl, is from the first week of school when I figured I could use something to peruse when bored and perhaps even improve my Chinese in the process. This did not happen. I think I’ve flipped through half of the pictures; why would I endure the struggle of piecing together Chinese when I can be more easily entertained by YouTube? At $20HK, this was not a big loss. It is also the only magazine I own that features a woman on the cover [no idea who she is]. After getting to know Rosaline better in the first month of school and discovering our similar interest in Kpop, she gave me a SS501 poster she had received inside a Color magazine [they’re my 2nd fave group]. Intrigued, I picked up my own copy [different issue] not long after. Mine came with a poster of Lee Minho from Boys Over Flowers, a drama that Rosaline likes, so I gave it to her and now both are affixed to our walls. 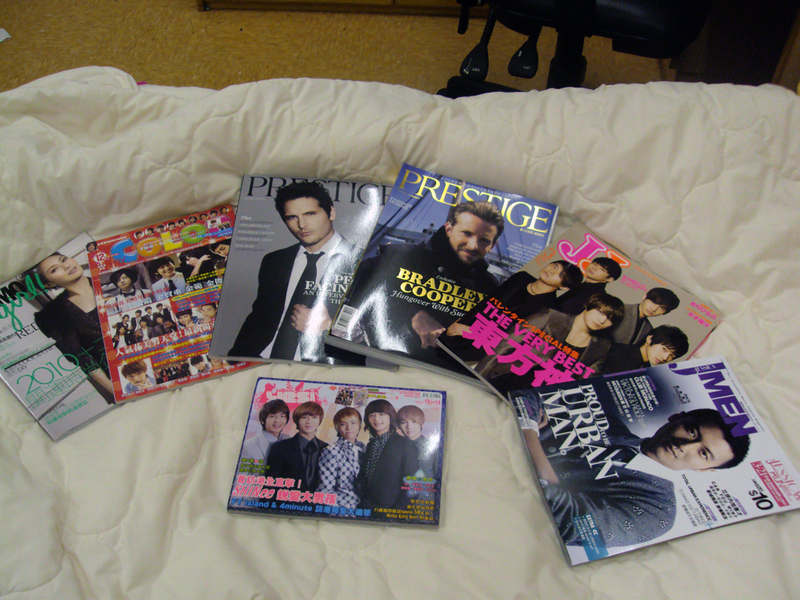 Color magazine seems to be a pop idol gossip magazine that features SS501 and Super Junior M on its cover every month, along with Fahrenheit and Rainie. It also included cut-out postcards and a fold-out calendar. I suppose the $35HK price tag is worth the gimmicks at least once for a fangirl. My next purchase was in preparation for my interview with Prestige magazine, where I now have an internship. This magazine is extremely difficult to find around Hong Kong because its target audience is rich foreigners who read English. I’ve only seen it in Stanley [a place full of white people] and the business part of Wan Chai [where I work]. I decided it would be okay to drop $50HK on this issue to learn more about the magazine. The sad thing is, there were so many extra copies lying around the Prestige office that my editor offered me one for free when I finally went in for my interview. I did accept the October issue, which is roughly the thickness and weight of a textbook. I’ve skimmed both of these and even managed to make some grammatical corrections. Most of the content, like any luxury magazine, is completely unrelatable to me. 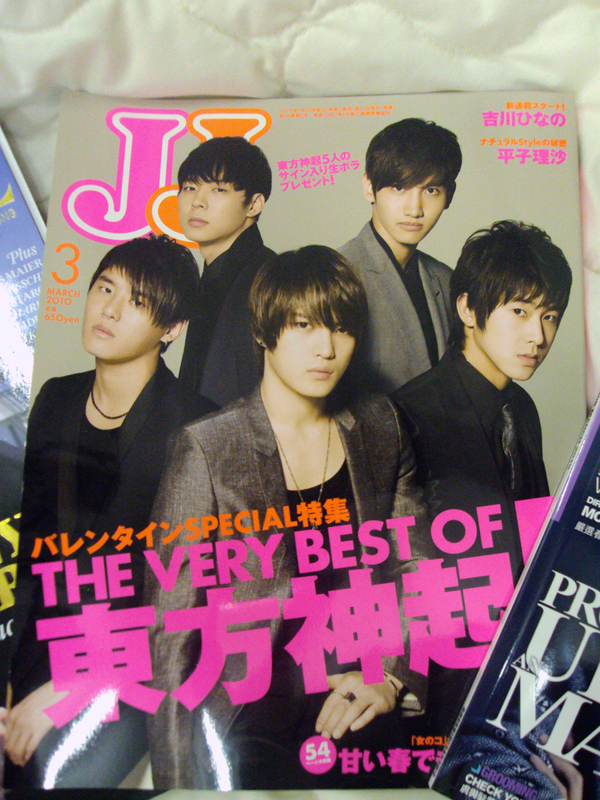 When I read that [my 3rd fave group] DBSK would be the first male group to appear on the cover of JJ magazine, I dismissed it as trivial until I saw the actual issue in 7-11. Despite the expensive price [somewhere around $60HK], I had to have it. The original Japanese versions are always more expensive, which meant it cost a lot AND I couldn’t read it even if I actually wanted to. 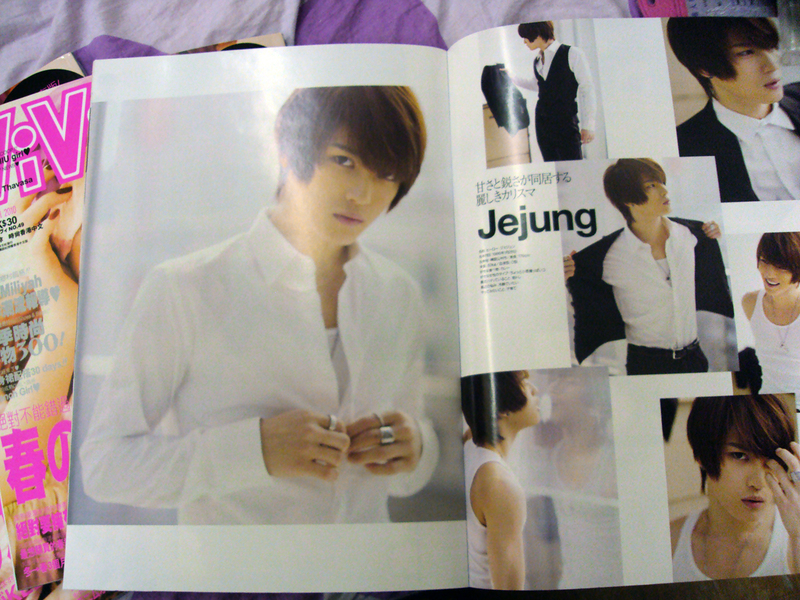 There are some huge, beautiful photos of DBSK inside, and the rest is all clothing modeled by blonde half-Japanese girls. I’ve been unexpected faced with Nicholas Tse’s image many times in HK because of his new movie. I was literally in love with him in high school, and though I had thought that those feelings died once he got married & had a baby & got ugly, my heart still flutters a little when I look into his eyes on the side of a bus. When I saw the clean-shaven & well dressed version of him on the cover of a magazine at Circle K, I knew I had to buy one eventually. Of course I recognized him even sideways and partially hidden. At $12HK, Yes! 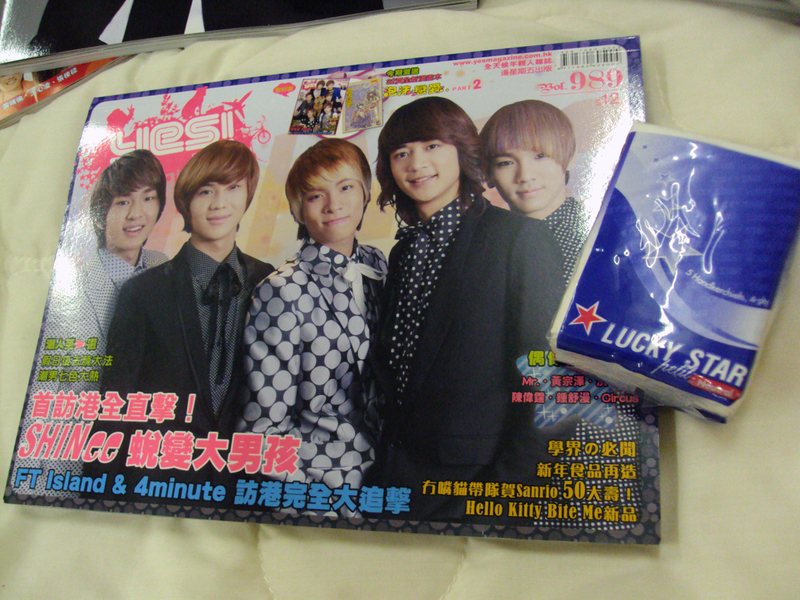 was the cheapest magazine so far, and even came with a free pack of tissues! It featured photos of them having lunch in HK [presumably], arriving at the airport and at the Chinese New Years performance that I attended. Like Color magazine, half of its pages are of the non-glossy variety, which [generally] means its content is even less worth reading than the 100% glossy kind. Seeing physical pictures of SHINee has caused me to realize that Key does indeed wear more eyeliner than the other members. Sigh…I don’t care. 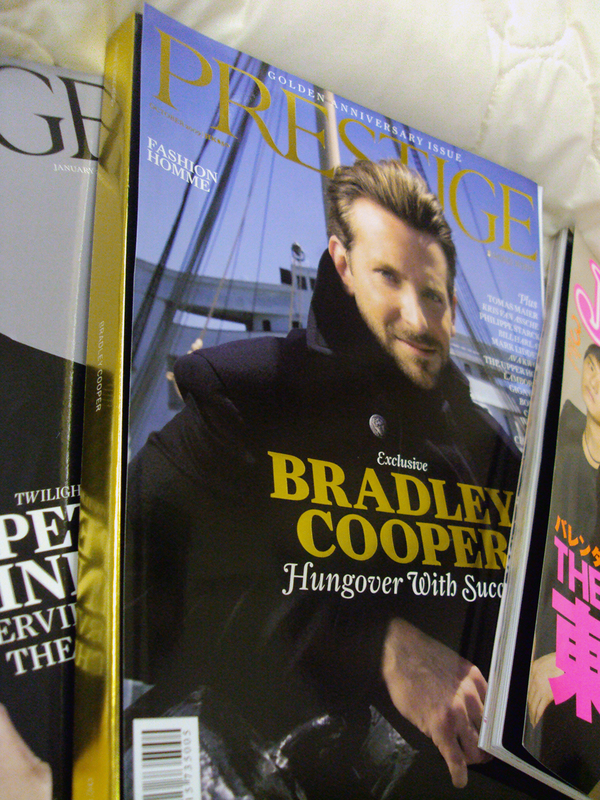 Anyway, I had to go next door to 7-11 to find the Nicholas Tse magazine. At the time I wrote the above content, I had yet to purchase the apex of my collection, which I had my eye on ever since learning about it. 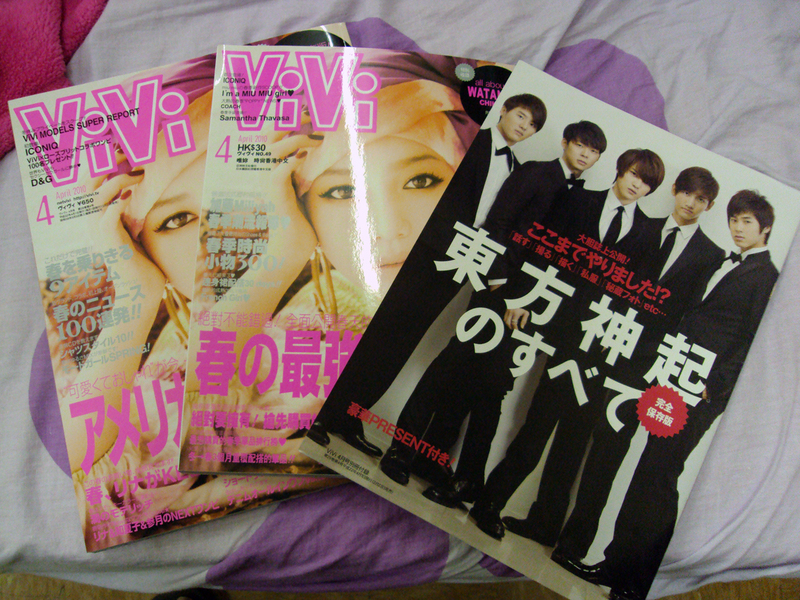 DBSK has basically been shoved into every Japanese magazine lately, and Vivi magazine is no exception. 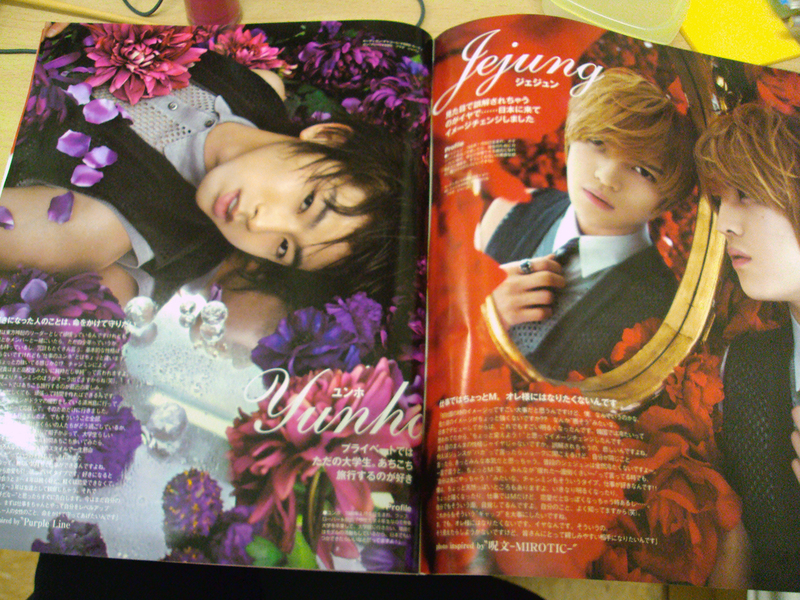 The thing is, the special insert of their photoshoot was only available in the [larger & more expensive] Japanese version of the publication, and while exhaustedly browsing 7-11 the day after returning from the Philippines, I accidentally bought the Chinese version. What a waste of $35HK! For I had to have the original, which cost another $68HK. Swooooooooon. The saturation of colors makes these photos incredibly rich & beautiful. I’m still debating whether to drop $60+ on one for myself. You are currently reading I Love Supporting The Magazine Industry at auradis.